As an entry with ETIAS visa is only authorized in countries of Schengen areas, because Ireland is not part of Schengen members, it may not be valid when entering to Ireland unless they agree to join Schengen members until 2020. ETIAS is expected to be operated as early as 2020. Exact dates are not confirmed yet. And details may change when it is officially operating. This page is about the Republic of Ireland, not about Northern Ireland. Is Ireland part of Schengen area, or Europe? Ireland is not part of Schengen areas, but is part of Europe. Ireland is one of few countries in Europe that is not part of Schengen members. Within Schengen areas, visitors may travel across the countries under same rules and visa within 90 days from the first day of your arrival. The reason why these people are not joining the Schengen area, it is much easier for the authority to manage non-European citizens. Southern part of Ireland is very popular among tourists from all over the world. Tourists may enjoy the beautiful and smiling scenery of a countryside, coastlines, and traditional Irish pubs to enjoy the flourishing atmosphere, and not to mention, the Guinness Beer. 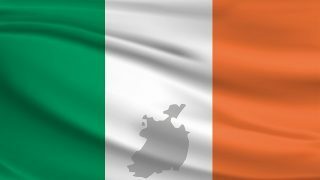 Is ETIAS required for visiting Ireland? If you do not hold passports form E.U countries, you may be required of an ETIAS visa when traveling to Ireland. If Ireland joins Schengen members, visitors will be required to hold valid ETIAS visa. Some visitors from certain countries are required to obtain a valid tourist visa when visiting Ireland. Even if the ETIAS rules are operated, the rules of visitor’s visa is less likely to change.